View the backupX project on Github. I’ve long been afraid that on a multi-week trip that something is going to happen to the SD card in my camera, either that it will just corrupt completely or if my camera is stolen that all the photos will be lost. I’ve looked at the available solutions on the market, and they are super bulky, heavy, expensive, and try to solve too many problems – the most popular one is the Western Digital My Passport. I decided to create a Raspberry Pi based solution that will be small, lightweight, ultra-portable, and mostly, really affordable, and I called it backupX. The Vilros Raspberry Pi Kit comes with everything you need including the hub, and best of all is only $35 and is about the same size as a pack of cards. The only addition I made to the Pi is an Adafruit LED Sequin. as an activity indicator. The way it works is you label your backup drive with “backupX” so the project knows where to backup the files. 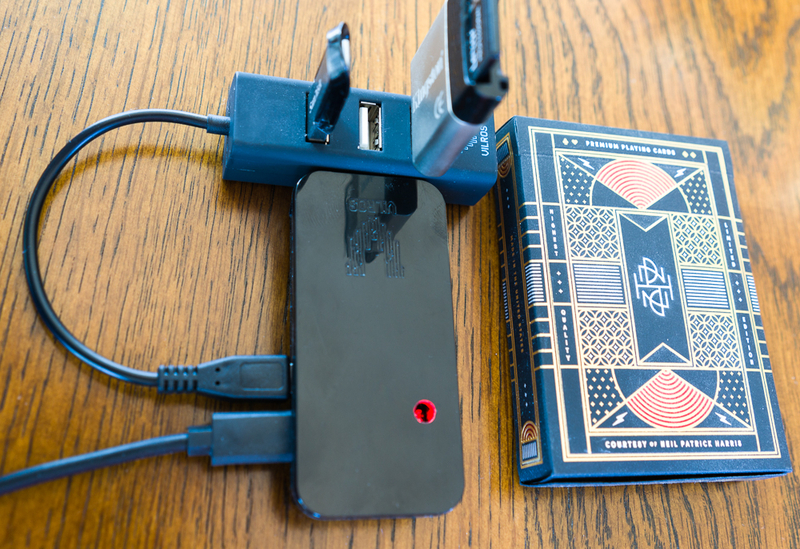 You plug in a USB cable to power the Raspberry Pi and let it boot. 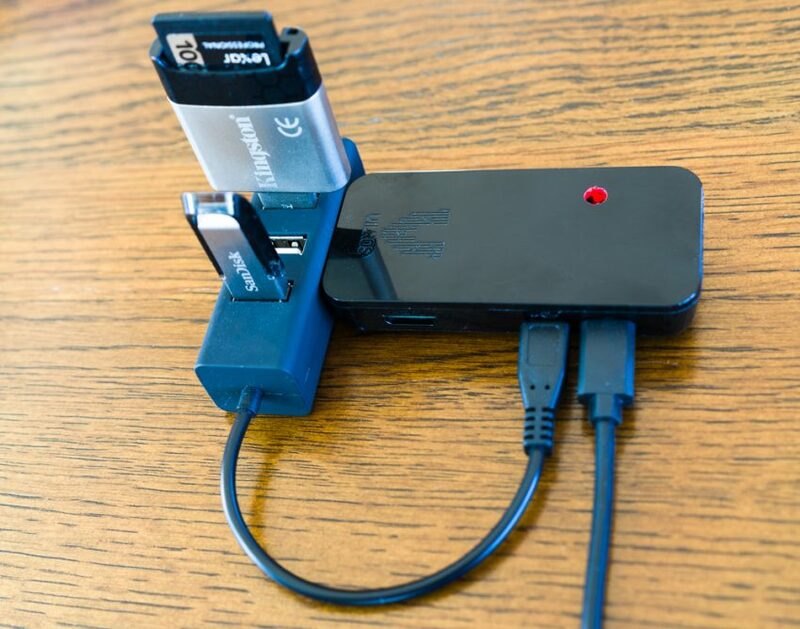 At any point you can plug the backup drive and the SD card into the USB hub. When the Pi detects both source and destination it will start copying and the red LED will start flashing. When it is done backing up the contents of the SD card, the Raspberry Pi will shut down. Easy as that. Since one of the points is to guard your photos against theft, loss or damage to the camera while you travel, I keep the backup drive and the backupX system separate from my camera gear. It stays in the hotel room while we’re out, and it goes in my roller bag on the plane while my camera gear is always in the photography bag. Head on over to the project page on Github for more details and learn how to set it up. backupX – the Raspberry Pi based solution for backing up travel photography on the go – it’s about the size of a pack of cards.